Here’s a resource that will actually help. Enjoy 160 pages of marketing advice, insights and industry trade secrets from an expert. 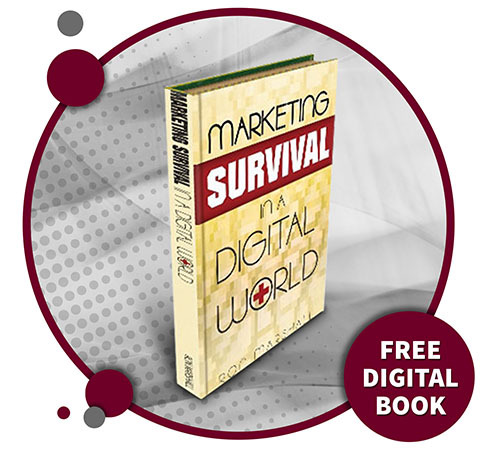 Marketing Survival in a Digital World combines the insights of over 30 years experience in strategic marketing and advertising with practical advice that counters the negative effects the digital evolution has had on businesses. This is field-proven, fundamental advice designed to help you succeed in today’s complex and competitive digital landscape. • How to use traditional and digital media in sync. • Why it’s more important than ever before to develop a quality-based brand.